MTNL Recruitment 2018: Mahanagar Telephone Nigam Limited has issued the official announcement of the 38 vacancies of Assistant Manager. Candidate and Qualified Applicants can view the application form 2018 Mahanagar Telephone Nigam Ltd Jobs through online mode from its official website mtnl.in. Submit Interested candidates can apply online until the last date, 27-09-2018, for the position of Technical Assistant of MTNL 2018. Applicants can download the official notification from the official website before requesting this job. 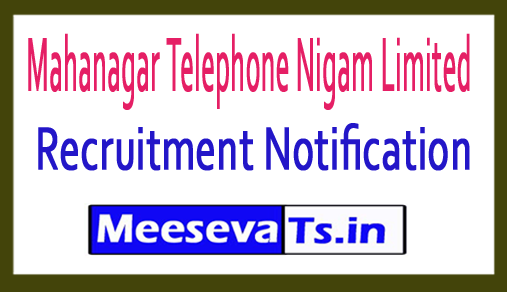 More information about Mahanagar Telephone Nigam Ltd Recruitment as details of eligibility and qualification training, age limit, selection process, enrollment fee and how to apply, key links, syllabus, admission cards, results, previous documents are given below. The selected candidates receive Rs. 30,000 / - per month of the organization. The selection will be made according to the online exam. Look for "MTNL Recruitment 2018 for Assistant Manager Posts".